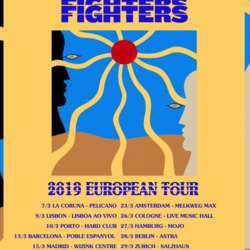 Crystal Fighters are back in Madrid as part of their European tour! If you’re a fan of this group don’t miss the opportunity to see them in the city and meet some new people too! Tickets are on sale now so please buy your tickets well in advance of the concert to ensure you get a ticket! I will send an update nearer the time about the meeting point.